What new feature is showing here, not in your other images ? I honestly can't tell, but it is possibly ( as noted in another post of yours) Baked Ambient Occlusion shadows ? It's a tad hard to tell but Im guessing that's it. Basically I have a streamlined workflow now (without Blender breaking something) haha. 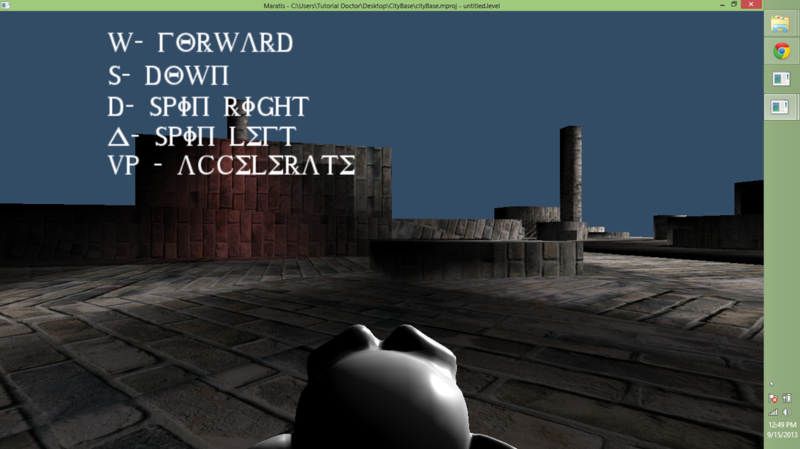 I can get diffuse, ambient occlusion, specular, etc maps into Maratis intact now. I took off the baked shadows on this one though. 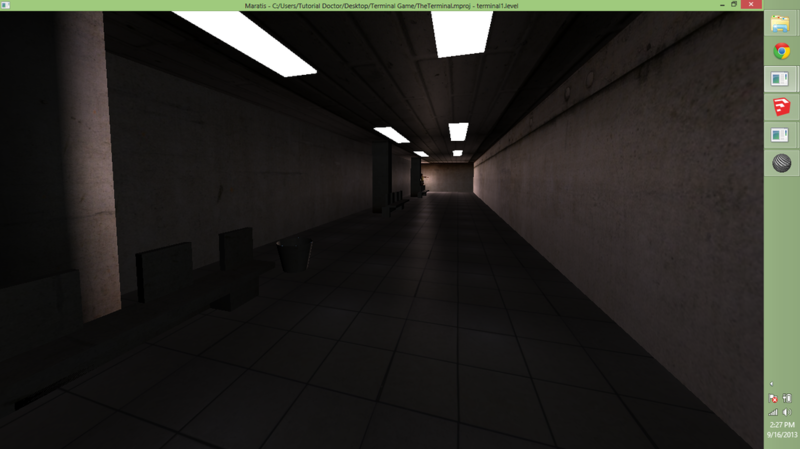 I just have the baked ambient occlusion. This is a quick Sketchup model that went through Blender. 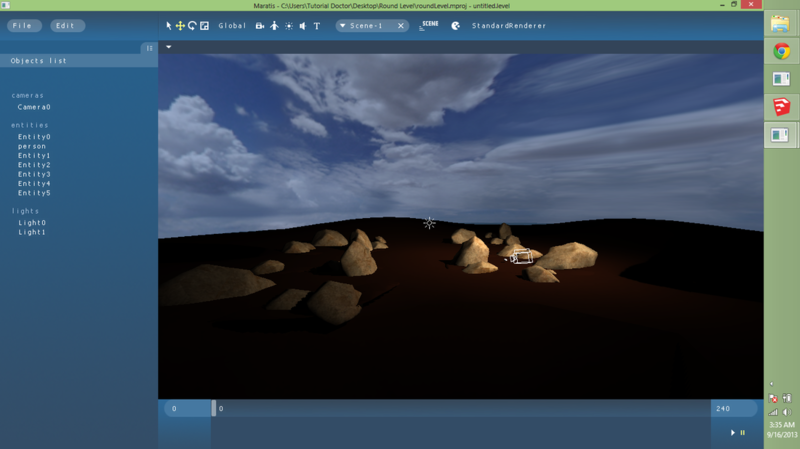 I might be using Sketchup for basic terrain, and Sculptris for detailed terrain. Only reason I would use skethcup I guess for terrain is for getting maps in from google earth as now its the only way you can do it, but its a MASSIVE headache doing it. Just one of those things you have to get used to. I wonder if the PRO version has a easier method. Also I don't think sketchup make can be used for commercial work, as given maratis is mit and allows it , is going to create some problems for many people I suspect. It would be better overall then to divert them entirely to sculptris where possible I think.
" •SketchUp Make is not licensed for commercial work. " The new version of sketchup indeed cannot be used commercially, sketchup 8 can. Sketchup was sold to Trimble after version 8, and version 8 still falls under the license that allows you to use it commercially. It was confirmed by Trimble staff. Trouble is though, WHERE is the average person who goes to their website, supposed to find 8 ? http://www.sketchup.com/download , says nothing about Version 8. Hard to say how many people will be using 8 and not updating ( or NEW users), but I still think we need to address this. 57337.html , and just make sure and click the LINK underneath the GREEN button, unless you want to deal with ads during install! The thing I like about sketchup is that you can get precise elevations. They have a very nice set of terrain tools. The precision is the main advantage of sketchup. I need to test some other export plugins however. The biggest advantage however is the 3d warehouse. It's almost a must for quick game assets. It's good for people who aren't modelers. Everything from terrain to complex buildings to characters can be found there. Even found that Sponza cathedral there. I'm still searching for other software that I could use with Marstis, and will add it to my post on Resources. Im sorry, the term I was thinking of was GRADING. haha. Of course you can also make elevations (buildings). Basically you have more control over the curvature of the landscape. You can predetermine the highest elevation and make the land converge towards it. Added MONKEY IN DESERT. Comes with a skydome. Exported from Blender into Maratis. The terrain was modeled in Scultpris and textured in Blender. 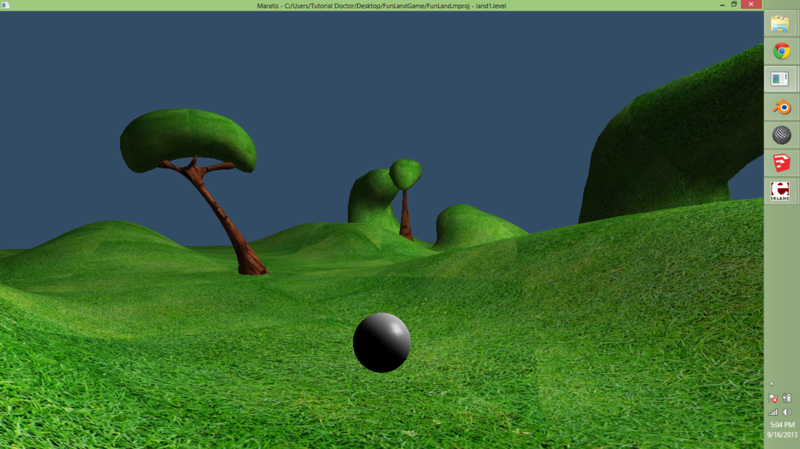 The tree was modeled in Wings3D and textured in Blender. The models had an Emittance of .2 so they are not so dark when importing to Maratis. I just have a quick comment about terminal level. No one should be thinking, if they are, that those lights on ceiling give light, as they do not. If you remove all lights in the scene, all light is gone, short of the emit light coming from those ceiling panels. I imagine the emit is just for visual appearance which does lend a nice effect, so if one wanted light there they would need to add it. Be it far from me to stop your creative mood as its always a positive thing for others to see what is being done here;), but I think by making a full game , instead of simply offering these smaller demo levels , which basically anyone themselves could, and will create ( and more). YOu should know this is meant as constructive criticism. All examples are obviously welcome, and obviously appreciated, but more good will occur with full games with code ( if you wish), than very such examples anyone else could do on their own. Again, ty for taking the time to at least, even if on a simplistic level, showcase maratis potential It would just have more impact done in a more complete game package is all. So you know what I mean, I would refer you to what a user named 'Par' has done with his game example, which yes while overall simple in design ( not simple scripting per se ), shows a game done with maratis thereby having good potential in showing what can be produced with Maratis THe best 'example' above of course is terminal, given it shows the value of EMIT. This post is only for levels, which is a major accomplishment for me. I joined this site on August 7th after stumbling on it by chance, and up until then I have NEVER programmed a program, and NEVER created a 3d level with textures. Never worked on any project of the sort. Everything I have been posting has only been learned in the time I have been on the site (as far as game development is concerned). Watched 2hrs worth of lectures on gameplay mechanics. Watched a bunch of Blender tutorials. Watched several tutorials on level design etc. I have to watch those lectures again before making a game that is worth playing. Making a game (and a good one, considering it has good game mechanics), takes more consideration. I feel I can make a game, but what game I would make, I don't know. Which mechanics would I use? But all of that is pointless if I can't get the technical stuff right. If I can't get the technical stuff right, all I have is a game idea. But if I can get the technical stuff going, a game is no sweat. 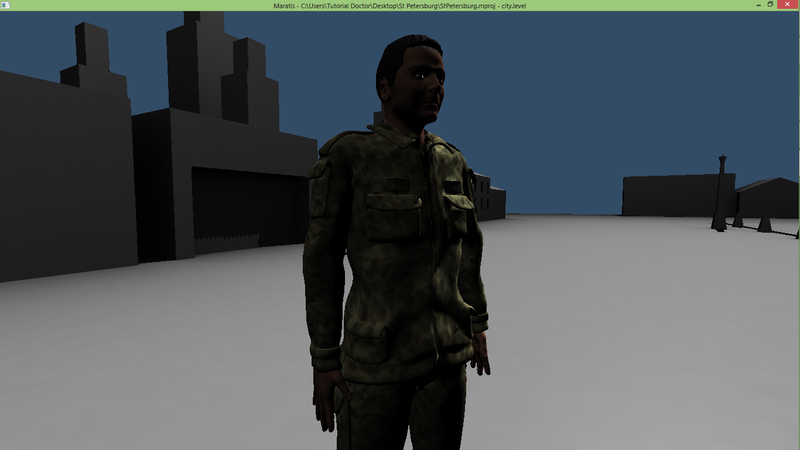 Last night I was able to make a game character in blender, and load it into maratis with realistic animation (used bvh). 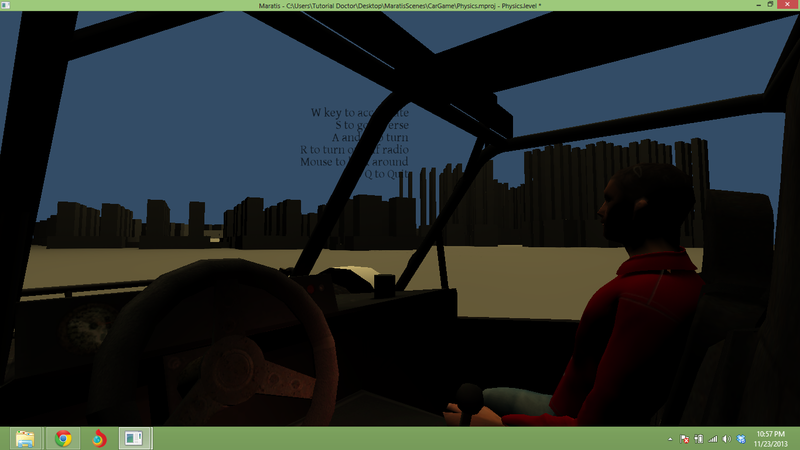 Now I have the terminal level with a character walking in it. Have a few more technical things to do before I would consider making a game though. the design of the tree in FunLand is also good, it's good material for a mario-like game or a cartton universe. As soon as I saw mario-like game, I said THAT'S IT! And I almost have something marketable. haha. An idea at least. Thanks Anael. Added a new download "Eva Animated." Thanks Zester! Added a Jules level edit! It has a skydome, water, and collection system. It is only a test game. I am creating my own animated character to replace jules. Cute level TD Decent music, nice space background, but I still think that the method of movement you have chosen is very annoying. Think of how world of warcraft allows movement, and I think you will see just how difficult your method is on the player. It's difficult to rotate player and have it line up JUST where you want it, to move in that direction. WOW"s system is much more intuitive I think, but again that's just my opinion and take that for what its worth. Your method might apply to other games, but I think when you want accurate/quick responses from player to the environment, that you need a more tactically accurate feeling system like what wow uses. Thank you!! 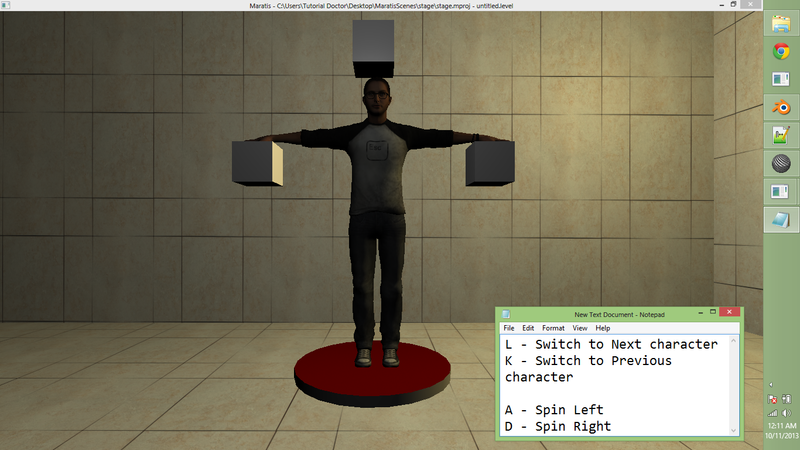 I have been getting around to making it all object oriented (see my post on customizable game script). Character Select! 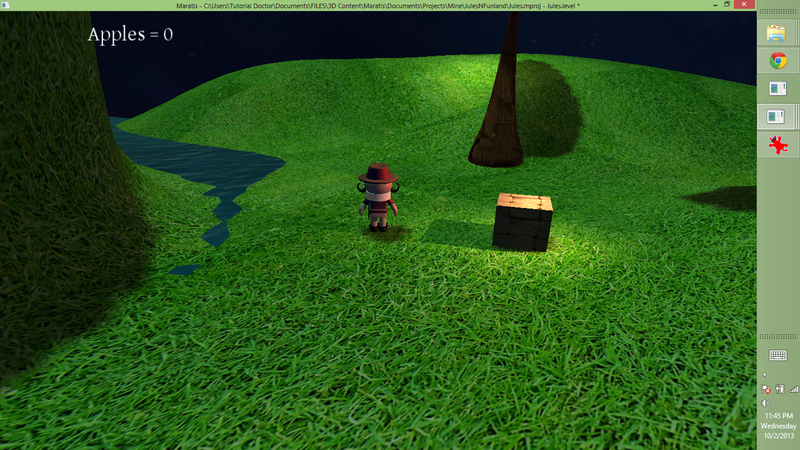 The cubes are place holders for any type of object you want to add. You can just parent them to the cubes and make the cubes invisible. Neat and easy way to add accessories to the model. These models can easily be switched out for cars as well (I need to figure out how to make a car material in Blender). I wonder if someone is able to use rayhit to make the cubes clickable (don't know how to use it efficiently yet)?